Next up for our S.H. Figuarts Visual Guide updates is the Stormtrooper (Rogue One) 6″ figure. Click below to check out our full Visual Guide, and visit our review for details on how this version differs from the A New Hope version. Be sure to check out our sponsor Big Bad Toy Store’s latest newsletter, featuring all of their latest new pre-orders and new arrivals. Click here for the full newsletter. Listed as exclusive for Prime Members, you grab the LEGO Ultimate Millennium Falcon for just $800 on Amazon. Click through for the product page! Thanks to JTA reader Michael for the alert! ← Jaina Solo (Legends) Is BACK IN STOCK At TARGET.com! The S.H. Figuarts Stormtrooper (Rogue One) figure is nice, but not exactly perfect. Find out why in our Research Droids Reviews today! Be sure to leave your thoughts in our comments section, vote in the poll or even comment about it on our Facebook page. Click the banner below for the direct link to the review! As always, you can also send your review requests via email if you’d like to see something that we didn’t cover yet. Jaina Solo (Legends) Is BACK IN STOCK At TARGET.com! If you still need Jaina Solo (Legends), she is once again BACK IN STOCK at TARGET.com for $19.99. Thanks to all who wrote in to let us know! ← 2017 Toy Industry Report Released: How Well Did Star Wars Perform? It’s time to start working on some more figures from the S.H. Figuarts line. Click below to check out the 6″ Shoretrooper figure. We also have a complete review of this figure to check out right here. ← Cool Custom POTF2-Inspired The Last Jedi Figures! 2017 Toy Industry Report Released: How Well Did Star Wars Perform? The Toy Industry numbers for the 2017 year have been released. We have a summation about how well Star Wars toys performed this past year in relation to recent years. Click through for more. Cool Custom POTF2-Inspired The Last Jedi Figures! Check out these cool POTF2-inspired custom The Last Jedi figures on eBay! What will they think of next? ← Hurry! Toys R Us Has Most Of The TBS6  Wave 2 In Stock! The S.H. Figuarts Shoretrooper is a perfect action figure. See why you need this desperately in our Research Droids Reviews today! Be sure to leave your thoughts in our comments section, vote in the poll or even comment about it on our Facebook page. Click the banner below for the direct link to the review! As always, you can also send your review requests via email if you’d like to see something that we didn’t cover yet. Hurry! Toys R Us Has Most Of The TBS6  Wave 2 In Stock! As of right now, 4 of the 6 figures are in stock on the Toys R Us web site. 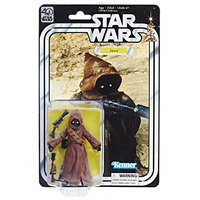 Direct links: Stormtrooper, Chewbacca, Sand People, C-3PO, Death Squad Commander, And Jawa! ← Jaina Solo (Legends) IN STOCK At TARGET.com! We have the Hot Toys Jyn Erso (Deluxe Version) Sixth Scale figure ready for our Visual Guides tonight. Click below to check out our biggest guide to date for a single figure! Make sure to also check out our full review on this figure right here. Jaina Solo (Legends) IN STOCK At TARGET.com! If you still need Jaina Solo (Legends), she is IN STOCK at TARGET.com for $19.99. Thanks to all who wrote in to let us know! 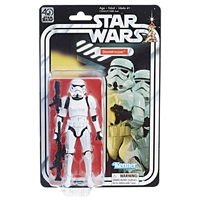 ← Hurry, TBS6  Wave 2 Now In Stock At Amazon! We’re switching gears for one day. Let’s check out the Jyn Erso (Deluxe Edition) Hot Toys figure. She’s a a beauty! See more in our Research Droids Reviews today! Be sure to leave your thoughts in our comments section, vote in the poll or even comment about it on our Facebook page. Click the banner below for the direct link to the review! As always, you can also send your review requests via email if you’d like to see something that we didn’t cover yet. 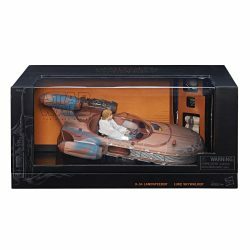 Hurry, TBS6  Wave 2 Now In Stock At Amazon! The Black Series 40th Anniversary wave 2 figures are now in stock at Amazon! Stormtrooper, Chewbacca, Sand People, C-3PO, Death Squad Commander, And Jawa! If they go out of stock, keep checking back. UPDATE: And gone. That was quick…but again, keep checking because they tend to pop in and out. Our last update from The Black Series [Phase III] wave 15 is Clone Captain Rex (59). Click below to check out our full Visual Guide. Be sure to stop by and check out our full review too! ← More Reports Of TBS6 [P3] Wave 15 Hitting TARGET! A Reddit user has created a fantastic version of Princess Leia Organa from Rogue One: A Star Wars Story using artificial intelligence. What do you think? Some are hailing it as superior. GrayScott.com has the full story. Special thanks to the divine Lady Ferry for the article alert! ← Latest TBS6 [P3] Wave Found At Target For Ridiculous Price! More Reports Of TBS6 [P3] Wave 15 Hitting TARGET! Wow! 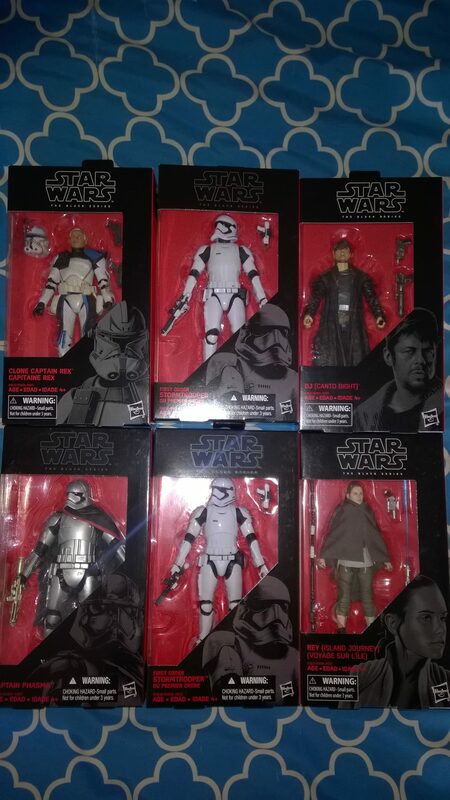 We are continuing to get many reports on people successfully finding wave 15 of The Black Series [Phase III] line at their TARGET stores. Most reports are coming in from California right now. As you know, we’ve just reviewed this entire fantastic wave in our RDRs. Check them out HERE. Special thanks to Eric T. for this latest report! Latest TBS6 [P3] Wave Found At Target For Ridiculous Price! 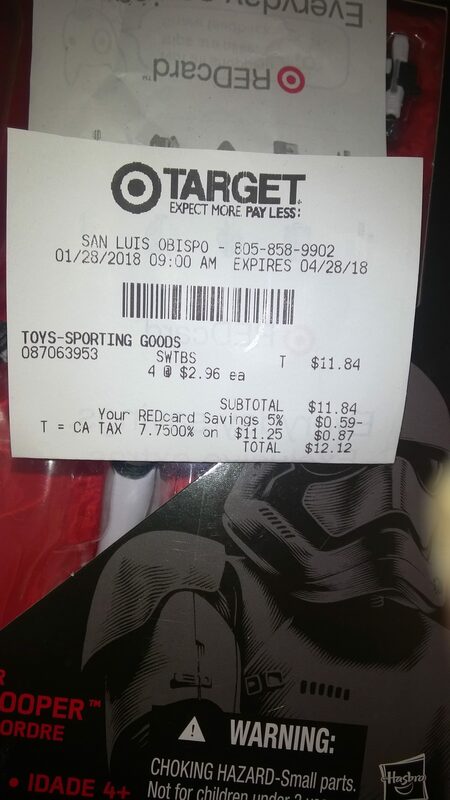 The latest wave of The Black Series 6″ figures have made their way to a Target in San Luis Obispo, CA, but they rang up at a RIDICULOUS price. Each of the figures rang up for only $2.96! That’s a pretty insane price and it’s another example of the issues plaguing Target’s inventory system. Have you found these in the wild yet? And if so, have you seen these crazy prices at your local target? Check out how awesome Clone Captain Rex looks with new “photorealistic” deco in our Research Droids Reviews today! Be sure to leave your thoughts in our comments section, vote in the poll or even comment about it on our Facebook page. Click the banner below for the direct link to the review! As always, you can also send your review requests via email if you’d like to see something that we didn’t cover yet. ← "Solo: A Star Wars Story" Retitled In China To Disguise It From Star Wars? Next up for wave 15 from The Black Series [Phase III] 6-inch line is DJ (Canto Bight) (57). Click below to check out our full Visual Guide. We also have a full review of this figure right here. "Solo: A Star Wars Story" Retitled In China To Disguise It From Star Wars? 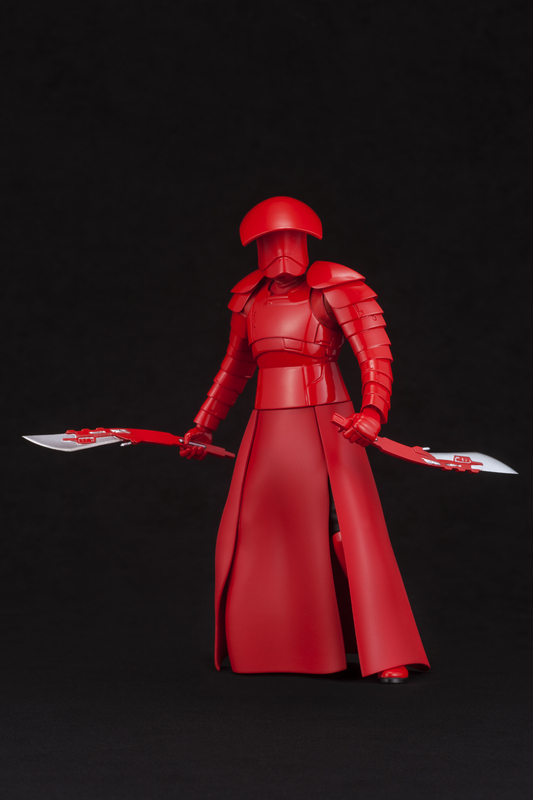 ← Hurry, TBS6 [SW40] Wave 2 Now In Stock At Amazon! 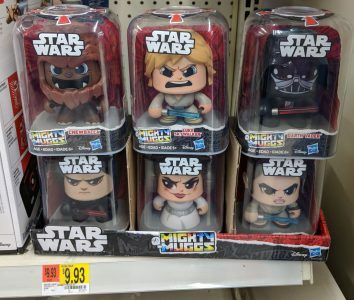 We’re not sure yet if these are going to be popular enough to survive, but if anyone is interested in the new Mighty Muggs with the swappable faces, they’ve been spotted at a Walmart in Northern Illinois. Thanks to JTA reader Derek for the alert. 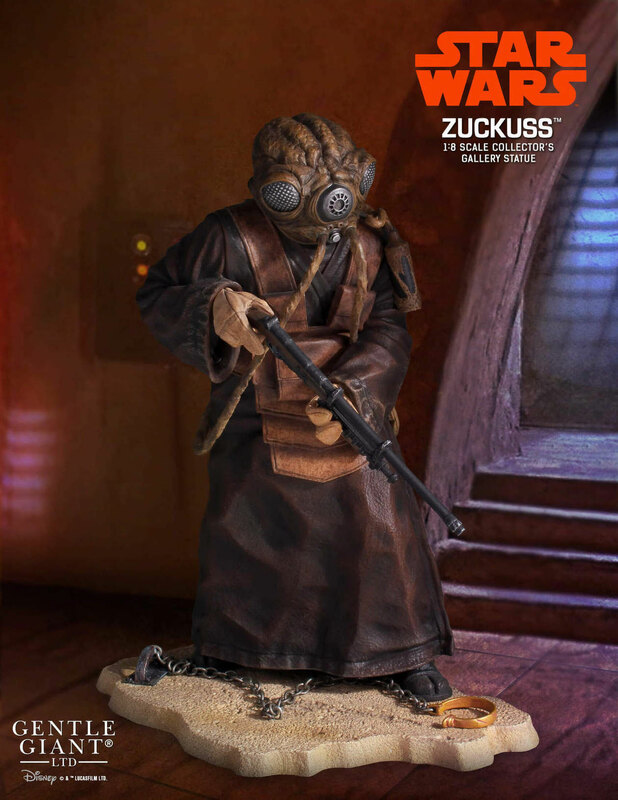 Hurry, TBS6 [SW40] Wave 2 Now In Stock At Amazon! The DJ (Canto Bight) 6″ figure is another success. Hasbro has raised the bar tremendously with the new “photorealistic” deco approach. See why you need this figure too in our Research Droids Reviews today! Be sure to leave your thoughts in our comments section, vote in the poll or even comment about it on our Facebook page. Click the banner below for the direct link to the review! As always, you can also send your review requests via email if you’d like to see something that we didn’t cover yet. The latest The Black Series 6-inch wave has arrived featuring the all-new photorealistic technology, and we are adding them to our Visual Guides and reviews. Up first is Rey (Island Journey) (58). Click below to access our full Visual Guide page. Make sure to also visit our review of this figure right here. That second smaller production run of 40th anniversary wave 2 figures have finally arrived and are selling through like hotcakes. JTA sponsor Empire Toy Shop has only a dozen cases remaining before they’re gone forever! The Rey (Island Journey) 6″ figure is a perfect 10. Hasbro has raised the bar tremendously with the new “photorealistic” deco approach. See why you need this figure in our Research Droids Reviews today! Be sure to leave your thoughts in our comments section, vote in the poll or even comment about it on our Facebook page. Click the banner below for the direct link to the review! As always, you can also send your review requests via email if you’d like to see something that we didn’t cover yet. ← Johnson Unwavering Towards TLJ Criticism: "Wouldn't Change A Thing." Johnson Unwavering Towards TLJ Criticism: "Wouldn't Change A Thing." 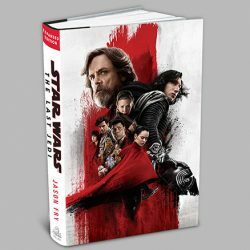 By entering the ECCC lottery, you’ll have the opportunity to purchase the convention exclusive edition of the novel Star Wars: The Last Jedi. This limited special edition has an exclusive cover and is signed by author Jason Fry. As an added bonus, purchasers receive a free Star Wars pin. In order to enter the lottery, you must have a valid ECCC 2018 badge for the day you select to enter. Check out the S.H. Figuarts Clone Trooper (Phase II) 6″ figure, the focus of tonight’s Visual Guide Update. Click below to see our full guide page. Click here to visit our full review. Hasbro has been quite forthright for nearly a year now about what figures are coming first in the reboot of The Vintage Collection. So let’s take a look at what the expected case assortment will be for wave 1. Click through for more information. ← Sideshow Luke Skywalker ROTJ Deluxe Sixth-Scale Now Available For Pre-Order! It looks like some of The Vintage Collection “wave 1” (wave 17?) figures will be coming in solid case packs. Right now we have learned that the previously announced Sergeant Jyn Erso, First Order Stormtrooper and Kylo Ren are all coming in solids. The question is: “Why?” We also have intel that Supreme Leader Snoke and Rey (Jakku) will likely get this “solid case” treatment as well. We have also heard that the MSRP may be higher than what you may have heard previously, but we’re not prepared to go down that rabbit hole just yet. Stay tuned as we learn more. ← BBTS Begins Shipping 40th Anniversary Wave 2! 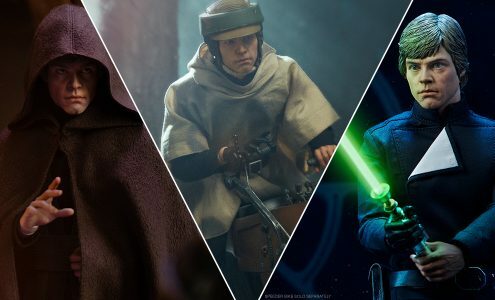 Sideshow Luke Skywalker ROTJ Deluxe Sixth-Scale Now Available For Pre-Order! The beautiful Sideshow Sixth-Scale Luke Skywalker Deluxe Return of the Jedi Sixth-Scale is now available for pre-order! You can also get free shipping if you pre-order it now. This one is a beaut and it comes with a lot of outfit variations. They also have a Speeder Bike that will go great with it. ← Rumor: Force Link Emperor Palpatine To See Eventual USA Distribution? BBTS Begins Shipping 40th Anniversary Wave 2! BigBadToyStore.com has begun shipping their Black Series 40th Anniversary Wave 2 cases! YES! They’re ACTUALLY shipping! If you need these, they still have some in stock. Who knows how long they’ll be around this time! Rumor: Force Link Emperor Palpatine To See Eventual USA Distribution? Remember how Entertainment Earth didn’t offer the Star Wars [The Last Jedi] Emperor Palpatine Force Link figure (something to do with it being widely available in the TARGET exclusive) when the other figures were? Well, we have learned that this figure WILL be available in limited quantities through another vendor/distributor in the USA for online purchase. You should expect to hear about this shortly providing the information we secured doesn’t change. As with all rumors, take this with a grain of salt until fully confirmed. 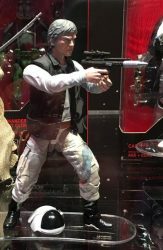 To be clear, we’re talking about the figure pictured below; not a potential repack in the Solo: A Star Wars Story toy line (if this figure is even a candidate for that line). 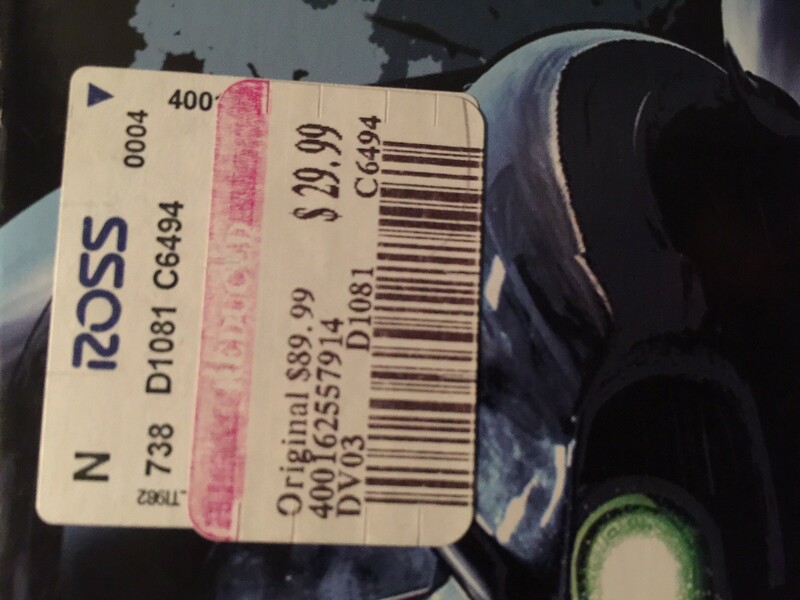 JTA reader PB Davis sends us a store report noting how much Force Link products are in his areas on clearance. He found items as low as $2, and the “beast” sets for $5. It’s a shame that Star Wars films don’t get to fully bake at retail anymore. It’s always on to the next new thing. On a related note, I have noticed that TARGET is beginning to prep its clearance of this line as well. Shop Disney online store is running two awesome promotional codes: SHIPMAGIC = free shipping. BONUS40 = 40% off qualifying items. Both can be used together, and they can be applied to some of the nicer items on the site. The sale ends midnight Thursday! Special thanks to JTA reader Michael H. for the alert! It’s now time to check out the Clone Trooper (Phase II) figure from the S.H. Figuarts line. Check it out in our Research Droids Reviews today! Be sure to leave your thoughts in our comments section, vote in the poll or even comment about it on our Facebook page. Click the banner below for the direct link to the review! As always, you can also send your review requests via email if you’d like to see something that we didn’t cover yet. ← Pay Attention 6" Aficionados! Hasbro Has Just Raised The Bar! 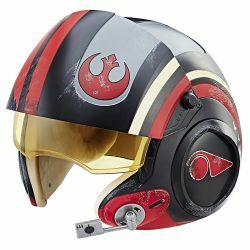 Amazon.com has marked down the Black Series Electronic Poe Dameron X-Wing Helmet for $54. I have to admit; it is a pretty neat collectible for the price. UPDATE: Link updated for a $40 option! Pay Attention 6" Aficionados! Hasbro Has Just Raised The Bar! 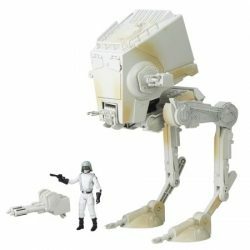 ← ToysRUs.com Flash Sale On Star Wars Items! Tonights Visual Guide update features the First Order Stormtrooper (Shield & Baton Set) from the S.H. Figuarts line. Click below to have a look at our full guide page. We also have a full review of this figure right here. ← Hasbro Star Wars [The Last Jedi] Home Entertainment 4-Pack Images! ToysRUs.com Flash Sale On Star Wars Items! For the next 5 hours (Until 6pm EST), ToysRUs.com is having a flash sale that includes 40% off ALL Star Wars action figures, role play, and plush items! Might be a good time to grab some needed items. 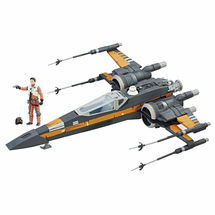 like the TRU Exclusive Force Link Set for $26 and Boosted X-Wing for $37.99. 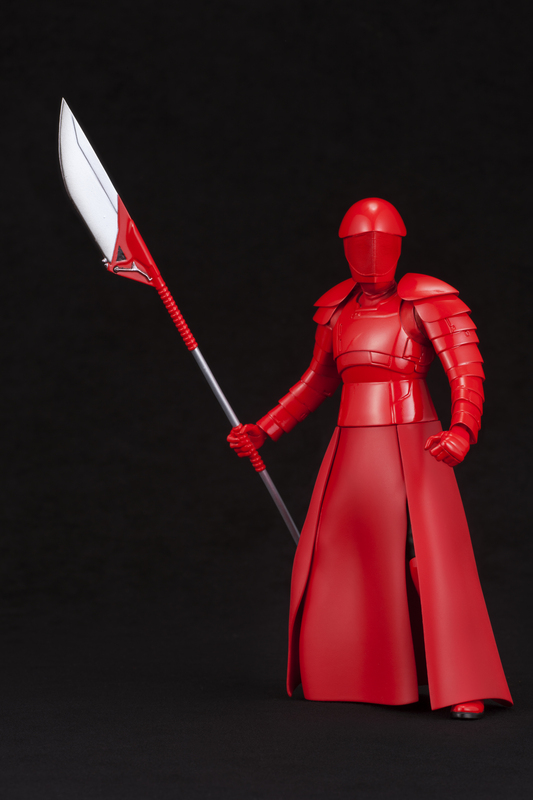 ← Kotobukiya Announces New ArtFX Praetorian Guard 2-Pack! Hasbro Star Wars [The Last Jedi] Home Entertainment 4-Pack Images! Pre-order your set HERE at Entertainment Earth! It has just been announced that Toys R Us will be closing a staggering 180 of its stores in the USA. See if your local store is on the list. CNBC has the full story. 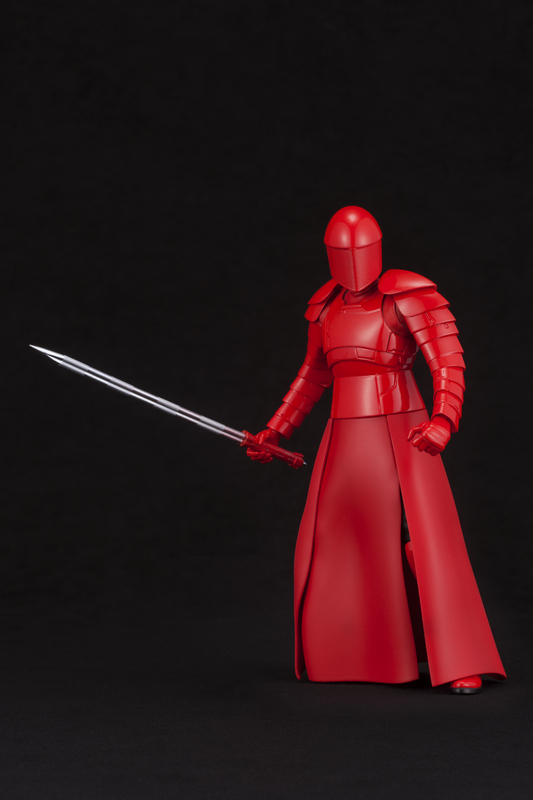 The latest wave of The Black Series [Phase III] 6″ figures are back in stock! Check out DJ (Canto Bight), Clone Captain Rex, and Rey (Island Journey). I’d also like to point out that Darth Revan has also come in stock once again and lasted a whole 3 minutes this time. Check back tomorrow morning at 4:25 a.m.
UPDATE: Rex and Rey went out of stock in 5 minutes. DJ still in stock. ← TBS6 40th Anniversary Wave 2 Orders Being Charged At BBTS! It’s time to check out the First Order Stormtrooper (Shield & Baton Set) figure from the S.H. Figuarts line. Check it out in our Research Droids Reviews today! Be sure to leave your thoughts in our comments section, vote in the poll or even comment about it on our Facebook page. Click the banner below for the direct link to the review! As always, you can also send your review requests via email if you’d like to see something that we didn’t cover yet. TBS6 40th Anniversary Wave 2 Orders Being Charged At BBTS! BigBadToyStore.com has received their shipment of The Black Series 40th Anniversary Wave 2 today according to an email sent out earlier today. Later in the day, the began processing orders and charging credit cards. If you need these, I would jump on it because you never know who will or won’t receive their shipments! They’re still listed as “in stock” on their website. WUT?! 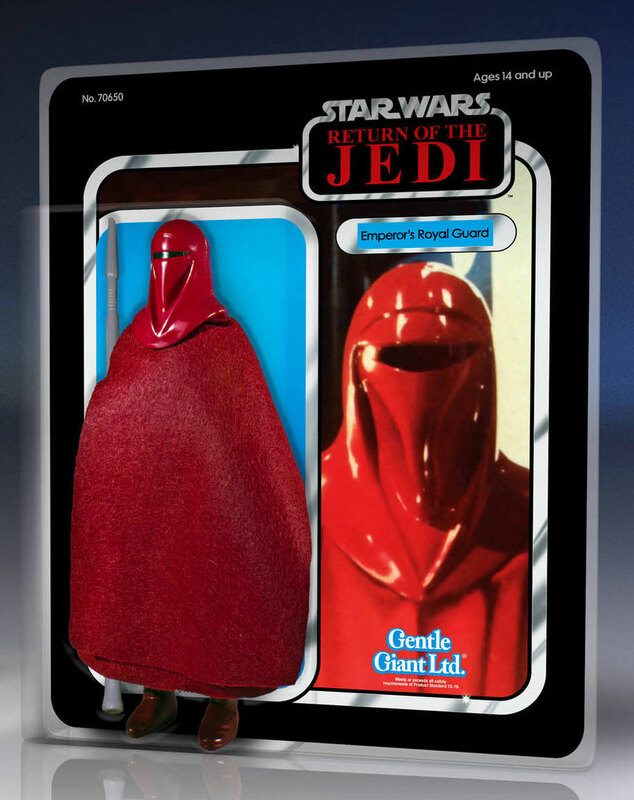 The Vintage Collection Captain Fordo Restocked By tunghori! JTA reader Nathaniel D. sends us a report that the C’ai Threnalli wave is hitting Canadian Walmart stores too. Also, check out the paint job on Rose (First Order Disguise) he found there too. Rogue One: A Star Wars Story and Solo: A Star Wars Story producer Allison Shearmur died at the age of 54 on January 19th. Variety has the full story. The first piece of merchandise for Solo: A Star Wars Story has been revealed at UK Toy Fair today. Our friends at Fantha Tracks has the full scoop! If you still need this, or just want a few more, the Walmart exclusive 3.75″ Black Series AT-ST is on sale for a mere $15 if you pick up in store. Again, you’ll have to have them in surrounding stores to get this deal, but you can order it online and pick it up. But be sure to hurry, they’re going fast! My 3 Walmarts had approximately 50 split between them about 2 weeks ago and now they’re picked clean (I swear I didn’t buy ALL of them!). Hurry! 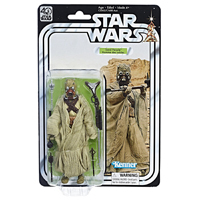 New TBS6" Figures IN STOCK At HTS! HURRY! 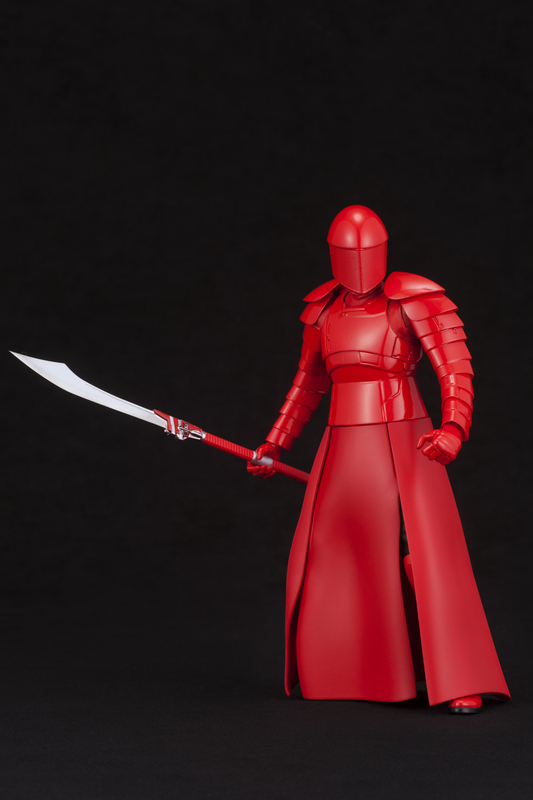 The latest wave of The Black Series [Phase III] 6″ figures are now IN STOCK!. Check out DJ (Canto Bight), Clone Captain Rex, and Rey (Island Journey). I’d also like to point out that Darth Revan has also come in stock 4 times at HTS over the past 7 days, so if you’re still looking for him there is hope! 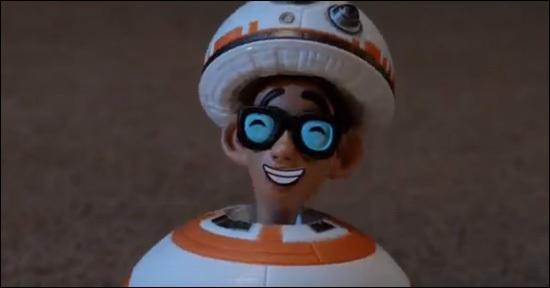 Robot Chicken has always done pretty well at taking on Star Wars parodies and this one is no different. There’s a lot more truth to it than many would like to admit, but it’s still hilarious. High ground! Check out the very nice Combat Assault Tank Commander, our latest Tamashii Nations’ S.H. Figuarts Visual Guide update. Click below for the full guide page. Don’t forget to also check out our review. New Zealand Mint has expanded its silver coin note range to include Star Wars. The very first coin note in this brand-new Star Wars Silver Coin Note Collection, which comes complete with a six-note collector’s album, features the heroic Luke Skywalker. Future releases will cover all your favourite characters: Obi-Wan Kenobi, Han Solo & Chewbacca, Princess Leia Organa, Darth Vader and R2-D2 & C-3PO. More details after the jump! JTA reader Paco LAG has found the latest wave of Star Wars [The Last Jedi] figures (the Threnalli wave) at his local MAXI store in Canada. Remember, the only way USA residents can get this wave is directly from Entertainment Earth, or one of their wholesale clients. The Combat Assault Tank Commander from the S.H. Figuarts line is beautiful. See why it’s another hit in our Research Droids Reviews today! Be sure to leave your thoughts in our comments section, vote in the poll or even comment about it on our Facebook page. Click the banner below for the direct link to the review! As always, you can also send your review requests via email if you’d like to see something that we didn’t cover yet. The New York Times has released “In a Galaxy Far, Far Away” which chronicles various Star Wars news items throughout Star Wars’ rich history. ← Kylo Ren (Throne Room) BACK IN STOCK AT Walmart.com! Here’s a look at the next Tamashii Nations’ S.H. Figuarts figure dropping into our Visual Guides. Click below to check out the Battle Droid (Geonosis Color) figure, also today’s featured review. 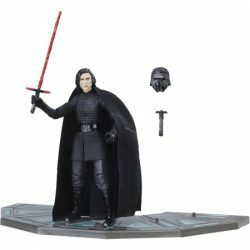 Kylo Ren (Throne Room) BACK IN STOCK AT Walmart.com! Hurry! 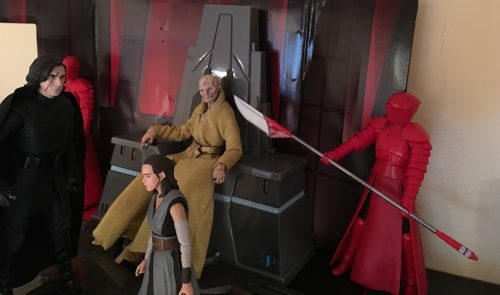 If you still need it The Black Series [Phase III] Walmart Exclusive Kylo Ren Throne Room is now in stock! Target.com has the Resistance Ski Speeder on clearance for $11.98. Thanks to JTA reader Collin for the alert! It’s another beauty! Check out Battle Droid (Geonosis Color) in our Research Droids Reviews today! Be sure to leave your thoughts in our comments section, vote in the poll or even comment about it on our Facebook page. Click the banner below for the direct link to the review! As always, you can also send your review requests via email if you’d like to see something that we didn’t cover yet. Tonight’s Visual Guide update features Obi-Wan Kenobi (Attack of the Clones) from Tamashii Nations’ S.H. Figuarts line. Click below to visit our guide page. Make sure to also stop by and check out our full review. Today’s addition to our Topps guide is the series that reignited Star Wars Trading Card collecting. Check out full checklists for the first 3 series of Star Wars Galaxy Trading Cards. The Obi-Wan Kenobi (Attack Of The Clones) S.H. Figuarts figure is quite nice, but not without issues. Find out more in our Research Droids Reviews today! Be sure to leave your thoughts in our comments section, vote in the poll or even comment about it on our Facebook page. Click the banner below for the direct link to the review! As always, you can also send your review requests via email if you’d like to see something that we didn’t cover yet. It’s the first Star Wars: The Clone Wars review of the new year! This week we’ll be looking at the episode “Defenders of Peace.” Click the banner below to read the full review. As the rumors regarding a potential Obi-Wan Kenobi standalone film starring Ewan McGregor continue to swirl, a lot of fans have wondered if we may see the return of Qui-Gon Jinn in this rumored film. Yahoo Movies UK had the chance to ask Liam Neeson about returning to the role of Qui-Gon. Neeson said, ““This is the first time I’m hearing of this, no one’s been in touch with me. I know in the Star Wars world anything is possible. In the first one, The Phantom Menace, I died but we know, you know, Jedis come back and stuff but no one’s been in touch. We’ll see.” It’s not surprising that Neeson would be open to returning to Star Wars. More than most actors, Neeson has spoken very highly of his time in Star Wars and even voiced Qui-Gon in Star Wars: The Clone Wars. 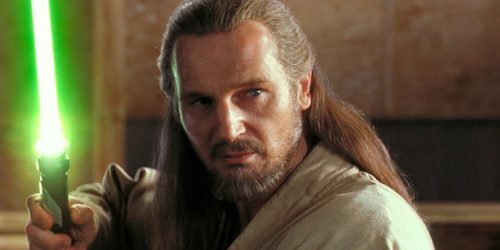 Would you like to see Liam Neeson and Qui-Gon return in a Kenobi film to mentor his former Padawan? Let us know! Darth Maul is our next S.H. Figuarts 6″ figure we are adding to the Tamashii Nations Visual Guide. Click below to have a look at the full guide page. You can also check out our full review on this figure right here. 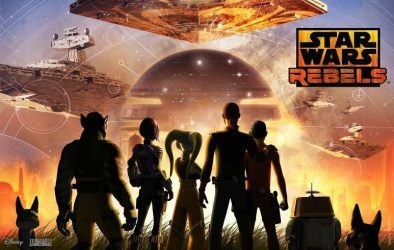 While The Last Jedi has dominated the headlines since it was released, Star Wars Rebels is about to take center stage as it finishes its fourth and final season. Lucasfilm has just sent out a press release with a ton of new information regarding the final batch of episodes. In addition to a return date, a new trailer has been released and a surprising guest star has been revealed. Click through to check out all of the exciting developments! The Jango Fett S.H. Figuarts figure didn’t fare as well as some of the other releases in the line. See why we think this figure still needed work before being approved for manufacturing. It is the focus of our Research Droids Reviews today! Be sure to leave your thoughts in our comments section, vote in the poll or even comment about it on our Facebook page. Click the banner below for the direct link to the review! As always, you can also send your review requests via email if you’d like to see something that we didn’t cover yet. Check out the amazing R2-D2 S.H Figuarts figure from Tamashii Nations, tonight’s Visual Guide update. Get the full guide page by clicking below. We’ve also added this to our review database right here. Just wow. Are you looking for a divine version of a 6″ scaled R2-D2? Then look no further than R2-D2 (A New Hope) from the S.H. Figuarts line. See why you need this in our Research Droids Reviews today! Be sure to leave your thoughts in our comments section, vote in the poll or even comment about it on our Facebook page. Click the banner below for the direct link to the review! As always, you can also send your review requests via email if you’d like to see something that we didn’t cover yet. 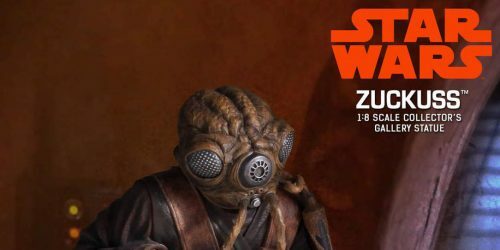 Gentle Giant’s January newsletter also revealed the 1:8th scale Collector’s Gallery Zuckuss Statue. Click through to pre-order. We’re moving on to the amazing S.H Figuarts figures, now featured in our Tamashii Nations Visual Guide. 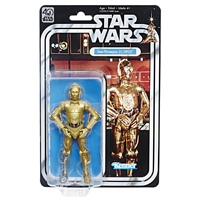 Click below to check out C-3PO (A New Hope). Make sure you also read our thoughts on this figure in our full review. ← Solo: A Star Wars Story Plot Synopsis Revealed! ← Would Things Have Been Different For These Episode V Characters? Solo: A Star Wars Story Plot Synopsis Revealed! StarWars.com reveals Solo: A Star Wars Story synopsis. SPOILERS. Stay away if you don’t want to know anything! 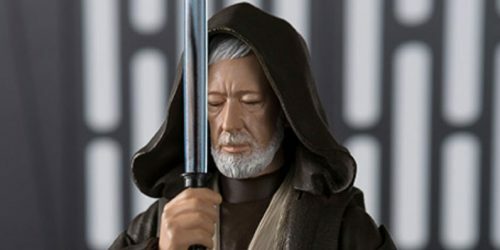 ← Wouldn't A Luke Skywalker (Jedi Exile) In The 6" Line Be Grand? Would Things Have Been Different For These Episode V Characters? Do you think that once Admiral Piett realized he wasted precious time worrying about not needing bounty hunter Zuckuss’ scum on his Star Destroyer bridge that those moments could have better spent better spent seeking Princess Leia (in her Hoth outfit of course from the Battle of Hoth) instead? Had he reprioritized things, he may have caught up to the Millennium Falcon in about 6 parsecs instead of 12 parsecs which is half the time. Wouldn't A Luke Skywalker (Jedi Exile) In The 6" Line Be Grand? Hasbro made a brilliant Rey (Island Journey) for The Black Series [Phase III] 6″ line. It seems we’re now missing Luke Skywalker (Jedi Exile) to complement her. Wouldn’t it be nice if Hasbro could get this figure on their parking lot list as soon as possible so we can set up our cool dioramas with both of them finally? We are going to begin a run of S.H. Figuarts reviews again. Let’s begin with C-3PO (A New Hope) which is probably the greatest 6″ version of C-3PO you will ever see. He is the focus of our Research Droids Reviews today! Be sure to leave your thoughts in our comments section, vote in the poll or even comment about it on our Facebook page. Click the banner below for the direct link to the review! As always, you can also send your review requests via email if you’d like to see something that we didn’t cover yet. Next up for the Tamashii Nations Visual Guide updates is Ronin Jango Fett. Click below for a look at our Visual Guide for this figure, and please stop by and also check out our review. Thank You Tamashi Nations for providing us with this sample for our Archives. We are completing the Vintage run of Topps Trading Cards with the additions of the Return of the Jedi checklists and reference guides to our Topps Index. Click below for the complete listings for both series. ← So, Will Emperor Palpatine Be Part Of The Solo Line, Or Canceled? Could it actually be possible that the 5POA line is killing the Hasbro Star Wars brand? ← Force Link Flametrooper, C'ai Threnalli, and Phasma/Finn 2-Pack Pre-Order! So, Will Emperor Palpatine Be Part Of The Solo Line, Or Canceled? Now that we know that Entertainment Earth jumped in to save the day with last wave syndrome once again, the remaining unreleased figures are greatly diminishing. (We’re talking USA perspective here only as samples have leaked out internationally.) The only other figure missing from the planned Star Wars [The Last Jedi] assortment is the single-carded Emperor Palpatine figure. Will he be part of the Solo: A Star Wars Story line or is he canceled. In fact, will the other figures originally part of his assortment be carried -forward into the Solo: A Star Wars Story lineup? Only time will tell. UPDATE: Look at what this figure is going for on eBay already! ← You Oughta Get This Awesome Ottoman! We graciously thank Tamashi Nations for providing us with the Ronin Jango Fett review sample. See why it’s another astonishing figure in our Research Droids Reviews today! Be sure to leave your thoughts in our comments section, vote in the poll or even comment about it on our Facebook page. Click the banner below for the direct link to the review! As always, you can also send your review requests via email if you’d like to see something that we didn’t cover yet. You Oughta Get This Awesome Ottoman! If you haven’t seen this awesome vintage Kenner inspired ottoman at Walmart, here it is. How awesom e is this, folks? ← Jaina Solo (Legends) IN STOCK At GameStop! We’ve opened up a brand new Tamashii Nations Visual Guide tonight, and our first entry is the Meisho Movie Realization Sohei Darth Maul. Click below to have a look at our Visual Guide for this figure, and make sure to check out our full review and extended gallery over in our review. A big thanks to Tamashi Nations for providing us with this sample for our Archives. Toy World Mag is reporting that Toys R Us has sought a bankruptcy extension in the USA. Check it out! We graciously thank Tamashi Nations for providing us with the Sohei Darth Maul review sample. See why it’s such an astonishing figure in our Research Droids Reviews today! Be sure to leave your thoughts in our comments section, vote in the poll or even comment about it on our Facebook page. Click the banner below for the direct link to the review! As always, you can also send your review requests via email if you’d like to see something that we didn’t cover yet. We’ve added three more guides to our Topps Index. Click below for the pages for all three series from Topps’ The Empire Strikes Back run. ← It's An Exclusive Trap! It’s beautiful! See why you’re going to want the BB-8 Premium Format Figure from Sideshow Collectibles! It’s the focus of our Research Droids Reviews today! Be sure to leave your thoughts in our comments section, vote in the poll or even comment about it on our Facebook page. Click the banner below for the direct link to the review! As always, you can also send your review requests via email if you’d like to see something that we didn’t cover yet. Has your local Toys R Is store been collecting Admiral Ackbar/First Order Officer two-packs? While easily one of the nicer exclusives to support Star Wars Episode VIII: The Last Jedi, perhaps the combination of characters didn’t make sense. JTA reader Keven M. suggest Hasbro should have done a “Mon Calamari” two-pack instead to include Admiral Raddus from Rogue One: A Star Wars Story. We imagine that set would have sold infinitely better. Anyway, let us know if you’re experiencing the same pile-ups in your area as well. If you have been having your Forces Of Destiny Princess Leia Organa and R2-D2 set continually cancelled by ToysRUs.com, we have learned right from the source that this retailer is not getting stock. (We’re not entirely sure if that means just onlint or both online and brick and mortar. We just received word that it’s not coming.) If you’re waiting for it, you should probably order it from other sources like GameStop or Entertainment Earth. 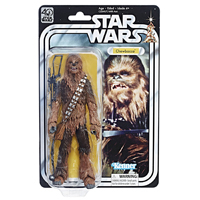 If you’re interested, the Forces Of Destiny Chewbacca is IN STOCK with Prime on Amazon. Special thanks to JTA reader Rob for the alert! ← Hasbro Toys Shop Lists Latest 6" Figures' Product Pages! We’re jumping over to the Star Wars [Darth Vade/Revenge of the Sith] line for today’s Visual Guide update. Click below to check out the 12-Inch Anakin Skywalker repack. Make sure to also catch up on the full review for this figure right here. Hasbro Toys Shop Lists Latest 6" Figures' Product Pages! And from what we have been told, the stock is imminent. Get ready for the carnage! 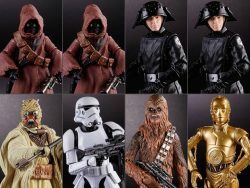 Hasbro Toy Shop has just added product pages for the latest The Black Series [Phase III] 6″ figures. Check out DJ (Canto Bight), Clone Captain Rex, and Rey (Island Journey). Extra special thanks to JTA reader Agustin for the alert! ← Hurry! Kylo Ren Throne Room In Stock! You’re probably glad we’re done with the 12-Inch Figure marathon, right? Well, let’s check out one more Rogue One carry-forward vehicle before we start all-new stuff (and a line of figures many of you have been begging for us to tackle again). Let’s look at Rey’s Speeder (Jakku) in our Research Droids Reviews today! Be sure to leave your thoughts in our comments section, vote in the poll or even comment about it on our Facebook page. Click the banner below for the direct link to the review! As always, you can also send your review requests via email if you’d like to see something that we didn’t cover yet. Hurry! Kylo Ren Throne Room In Stock! Hurry! If you still need it The Walmart Exclusive Kylo Ren Throne Room is now in stock! UPDATE: Gone! Keep checking back! Here is something interesting! Blu-ray ads for The Last Jedi have made their way into the random ad sections of Facebook. Were they released too early? Or are these just unofficial images? We’re unable to confirm, but they look legitimate to us. In the meantime, see what’s planned for supposed Best Buy and TARGET exclusive editions of the Blu-ray. Special thanks to JTA reader Alex P. for sending us these images! UPDATE: you can also pre-order the Best Buy Steel Book here and The Target Exclusive here. Mark Hamill has revealed the original intended ending for The Force Awakens that Rian Johnson changed. Uh-oh, Mark. Maybe you should seal those lips of yours. Aren’t you in enough hot water with Disney’s legal team for bashing your onscreen character? All kidding aside, check out the article. Website Cosmic Book News is reporting that China’s audience isn’t embracing The Last Jedi, with one huge Star Wars fan claiming the film insults one’s IQ. Check out the article and then come back and comment here! 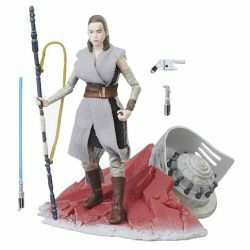 For those of you out there interested, ThinkGeek stores are now taking pre-orders for the Rey (Island Journey) wave of The Black Series [Phase III] figures. Special thanks to JTA reader Chewza for the news! JTA reader Matthew Z. has found a Luke Skywalker & Rancor, and Sandtrooper & Dewback Galactic Heroes sets at his local TARGET in Louisville KY. I cannot remember if these are new or old, but the real story here is that they just arrived at his location! Pre-order Hot Toys Boba Fett Regular And Deluxe Editions Now! 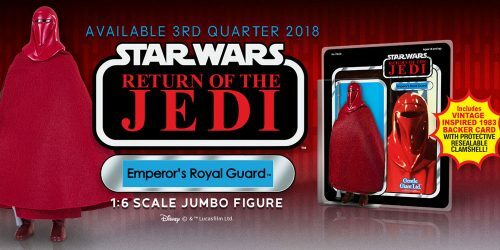 Site sponsor Entertainment Earth very quietly posts a listing for The Last Jedi Home Entertainment Set for $27.99. Sure to be revealed at Toy Fair next month, it will likely follow suit of the other 5POA four-packs we have received in conjunction with the home video release. Feel free to speculate on what figures will make up this set. 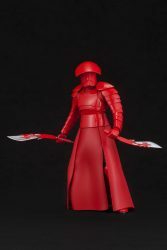 Hopefully, they’ll add new Praetorian Guards to the set! 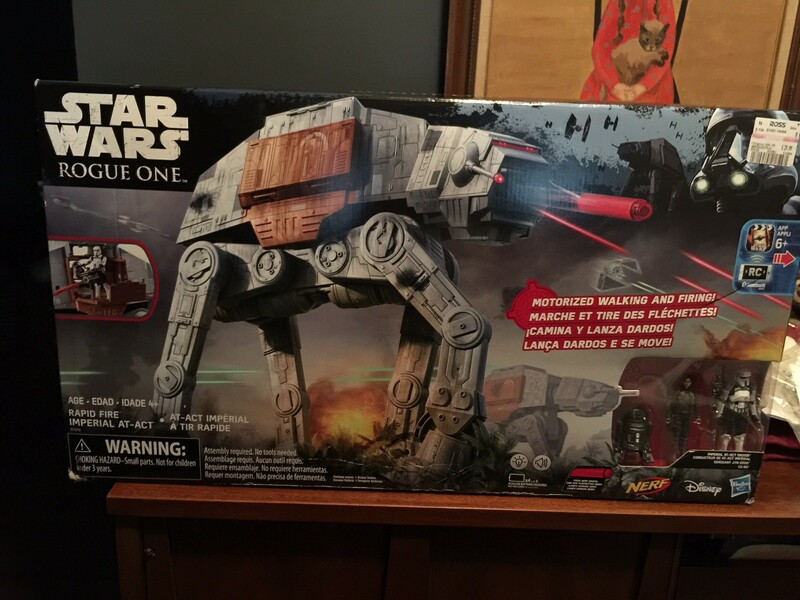 UPDATE: JTA sponsor Dorkside Toys contacted us to let us know this set has a name: Battle On Crait. I guess we can easily figure out who the included figures will be! ← SDCC Luke Skywaker X-34 Landspeeder In Stock At HTS eBay Store! The Gamestop/ThinkGeek/Barnes & Noble Exclusive Guardians of Evil 4-pack is on sale for only $47 at ThinkGeek.com! That’s a pretty great deal for this set. Thanks to JTA readers Frank & Ian for letting us know! They also have some other items on sale as well such as Force FX Lightsabers (Even Kylo) for $102, Supreme Leader Snoke (Throne) for $32, and many others. Our Topps Index gets an update tonight with the addition of the Star Wars Masterwork (2017) series. Click here for the full index listing and gallery of this premium series. 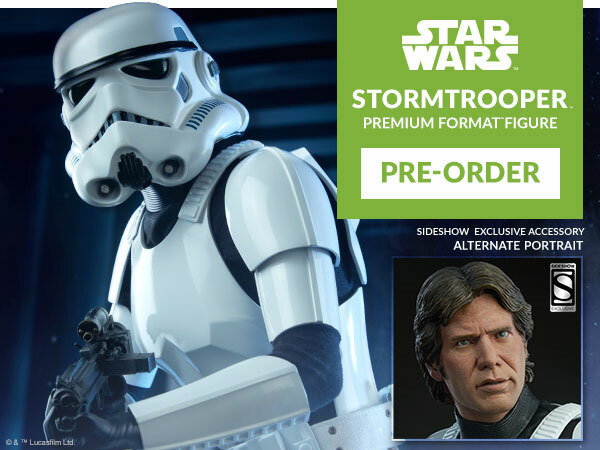 It’s time to pre-order the Sideshow Collectibles Premium Format Stormtrooper. Click here for the regular edition, and click here for the Sideshow Exclusive edition, featuring an alternate Han Solo portrait. The state of Star Wars since the sale to Disney has generated a lot of discussion, which only intensified after The Last Jedi was released. Three Star Wars films have been released since the sale to Disney and Solo: A Star Wars Story is just around the corner. In addition, we have Star Wars Rebels, Battlefront II, and the various novels and comics that have been released under this new leadership. Now that we a significant amount of material to work with, let’s open up the discussion of “Disney’s” Star Wars a little more. 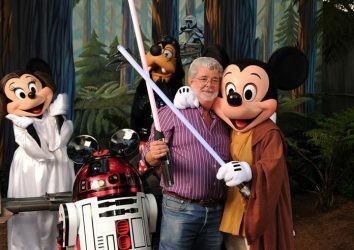 I have put together a list of questions that are intended to assess the state of Star Wars under Disney’s leadership, as well as your hopes for the future. We take pride in the wonderful community that has been established here and would love it if you participated in this discussion. As always, please keep the discussion civil and be respectful of differing opinions. Click through to see the full list of questions. 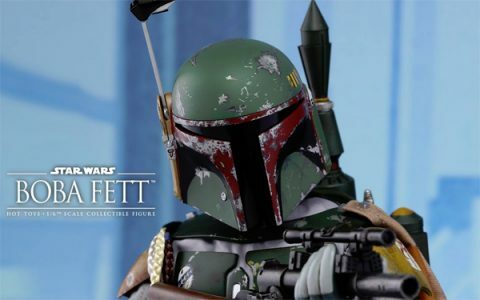 ← Hot Toys Announces New Boba Fett (TESB) Sixth-Scale Figure! 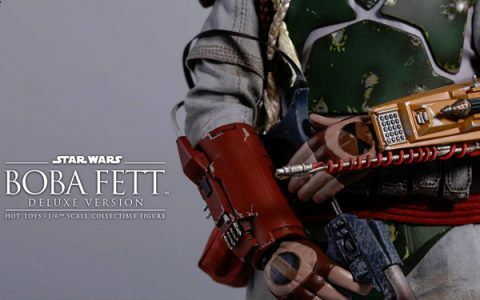 Hot Toys has also announced an amazing deluxe version of Boba Fett, featuring alternate armor. Click through to check it out! ← Jaina Solo (Legends) IN STOCK At Hasbro Toy Shop! Hot Toys Announces New Boba Fett (TESB) Sixth-Scale Figure! Hot Toys announces their Sixth Scale Boba Fett figure today! Click through for the full gallery! ← Sponsor Announcement: Empire Toy Shop: 40th Wave 2 Incoming! Jaina Solo (Legends) IN STOCK At Hasbro Toy Shop! Jaina Solo (Legends) is IN STOCK at Hasbro Toy Shop! Hurry! Thanks to everyone who wrote in with the alert! Sponsor Announcement: Empire Toy Shop: 40th Wave 2 Incoming! That second smaller production run of 40th anniversary wave 2 figures are finally en route to dealers. You can still pre-order a case from JTA sponsor Empire Toy Shop! Hurry before they’re gone forever! It was one of two of the first shampoo bottles ever released. And Anakin Skywalker was in the first wave when the line look transitioned to the Star Wars [Darth Vader/Revenge Of The Sith] collection. (You can’t make this stuff up, folks!) Check him out in our Research Droids Reviews today! Be sure to leave your thoughts in our comments section, vote in the poll or even comment about it on our Facebook page. Click the banner below for the direct link to the review! As always, you can also send your review requests via email if you’d like to see something that we didn’t cover yet. Make sure to check in with the latest Big Bad Toy Store Newsletter, featuring all of their latest pre-orders and new arrivals. 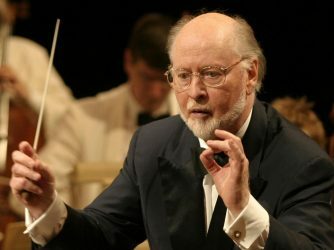 Living legend John Williams, now eighty-five years old, confirmed to Variety that he will score Episode IX. Williams simply told Episode IX director JJ Abrams, “I would very much like to complete that.” John Williams also shot down the idea that he planned on retiring and when asked to reflect on his sixty year career he said, “It feels like a good start.” Head over to Variety to check out the full story. The Last Jedi featured several notable deaths, but even The Last Jedi editor Bob Ducsay has had second thoughts about how a certain death was handled in the film. Ducsay revealed this during an interview with The Huffington Post. Click through for the full story. BEWARE OF SPOILERS FOR THE LAST JEDI. ← Yes! Next Wave Of Disney Toy Box Figures Revealed! OT FOCUS! After four seasons, Star Wars Rebels is coming to an end. We’re halfway through the final season, and it appears Dave Filoni and company are pulling out all of the stops for the show’s conclusion. Kevin Kiner has finished the final score for Star Wars Rebels, and he was given a live orchestra to work with. Dave Filoni confirmed this news on Twitter but we want to thank JTA reader Joseph for bringing it to our attention. Click through to see Filoni’s confirmation. ← Toy Fair 2018: Hasbro's Exclusive Fan Media Event February 17th! Yes! Next Wave Of Disney Toy Box Figures Revealed! OT FOCUS! Wow! The next wave of Disney Star Wars Toy Box figures have been announced courtesy of DisKingdom.com! Luke Skywalker, Darth Vader, Boba Fett and Princess Leia Organa are all CONFIRMED! This is FANTASTIC news! ← Random Thoughts Are Fun! Toy Fair 2018: Hasbro's Exclusive Fan Media Event February 17th! We are just over a month out from NY International Toy Fair. JTA is all set and registered for Hasbro’s exclusive Fan Media/Entertainment Brand Event on Saturday, February 17th at the Times Center in New York City. Let us know what you hope they reveal in our comments! This should be a good one! Hey! There are three spontaneous utterance posts we made over time that you will probably want to pay closer attention to now as we get closer to February (and beyond). Many include our “wish lists” for Hasbro while others are just suggestions of what figures would make the most sense for the 6″ line. POST #1 (from September 2017). POST #2 (from August 2017). POST #3 (original story from June 2015). Just saying. ← Is Solo: A Star Wars Story Already At A Disadvantage? We think Yoda is cool! Hasbro showed us some great love for this classic character in the 5POA Star Wars [The Last Jedi] line. But it has been quite a while since we have seen him released in The Black Series 6″ scale. That original figure wasn’t so great if you recall. It had a terrible paint job and came with a lightsaber! And he was too tall! What the heck? We think it is time to see Yoda again for The Black Series 6″ line. This is especially true now since he made a cameo in The Last Jedi. And if they can’t give us an all-new sculpt, at least we have “photo realistic” technology in place to fix the deco issues of the past! It seems the time to do this is now! Can we get an “Amen!”? ← Walgreens Exclusive Young Anakin Skywalker Pop! IN STOCK! Is Solo: A Star Wars Story Already At A Disadvantage? Is The Last Jedi placing too much unfair pressure on Solo: A Star Wars Story? There is a great article at Forbes.com addresing this very topic. Let us know what you think in our comments! ← UCS Millennium Falcon IN STOCK At LEGO Shop! Walgreens Exclusive Young Anakin Skywalker Pop! IN STOCK! The Walgreens excluisve Young Anakin Skywalker Funko Pop! is IN STOCK if you’re interested! 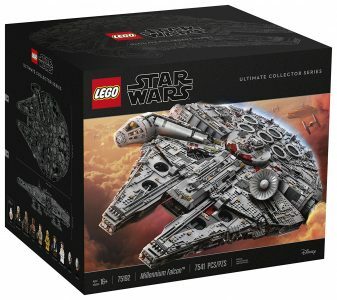 UCS Millennium Falcon IN STOCK At LEGO Shop! If you’re interested, the LEGO Shop has the UCS Millennium Falcon in stock! Special thanks to JTA reader Tony L. for the alert! Hasbro has announced a ton of great products in 2017. To date, not all of them have been released, much to the chagrin of collectors. But fret not! The good news is that most of the missing in action products are right around the corner (first quarter 2018 on or about). Our readers love the ability to search for them at their local retailers or online stock sites. So, we have a small list of new UPCs to help you in your search. These are all first quarter products. Reminder: Hasbro has announced ALL of the products on our list. But we have UPCs for some figures in The Black Series [Phase III] 6″ line (it might be phase IV by the time these figures get released, however), The Vintage Collection and those pesky figures we all want: Princess Leia (Hoth Outfit) and Wampa/Luke Skywalker two-pack! Click through for more! Walmart Exclusive Kylo Ren Throne Room In Stock! Hurry! The Walmart Exclusive Kylo Ren Throne Room is now in stock! 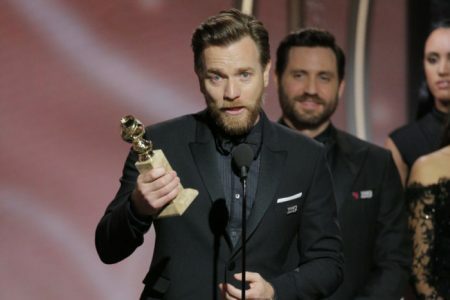 Ewan McGregor won a Golden Globe for his role in the third season of Fargo on Sunday, but the subject of Obi-Wan Kenobi quickly came up when he took questions from the media. McGregor reiterated that he would be happy to return to the role but said, “There’s no plan at the moment.” Ewan looked the part though. His beard certainly conjured up images of his Obi-Wan Kenobi days. Click through to watch a video from Variety for McGregor’s full comments, including his thoughts on The Last Jedi. ← What Will It Take For Hasbro To Give Us Our Long-Deserved Death Star? We have the next 12-Inch Vehicle set from The Force Awakens as tonight’s Visual Guide update. Click below for the full guide page for the Speeder Bike/Poe Dameron set. make sure to also check out our full review right here. ← UPDATE: HURRY! Jaina Solo (Legends) 6" IN STOCK! What Will It Take For Hasbro To Give Us Our Long-Deserved Death Star? We’re talking about one for a fair price too! How can Mattel make a Batman vs Superman Ultimate Batcave Playset (FOR 6″ FIGURES NO LESS) for less than $100; something that stands four feet high, mind you, and Hasbro can’t make a 3.75″ scaled Death Star with enough bang for under $250? Yeah, yeah, yeah, licensing fees, whatever. Still, something just doesn’t jive anymore. Special thanks to JTA reader and friend Mark for the dose of reality. ← Screenrant Rumor: Solo: A Star Wars Story Trailer This Week! UPDATE: HURRY! Jaina Solo (Legends) 6" IN STOCK! Hurry! Jaina Solo (Legends) is in stock at Amazon! ← Found! 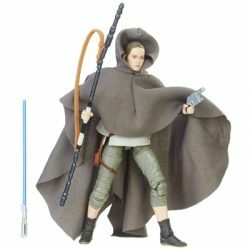 TBS6 [P3] Wave 15 Hits Toys R Us! Screenrant Rumor: Solo: A Star Wars Story Trailer This Week! UPDATE: Ron Howard responded to a fan on Twitter who asked when we should expect to see the trailer for Star Wars: Solo. Click through to read Howard’s response. 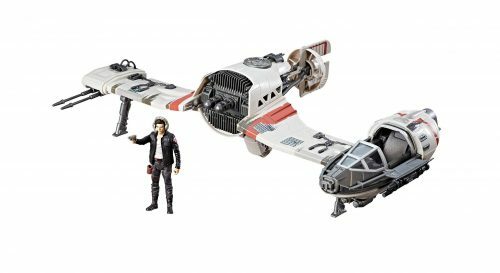 Collectors were surprised to see 12-Inch Figure scaled vehicles in The Force Awakens line. Let’s now check out the Speeder Bike/Poe Dameron two-pack in our Research Droids Reviews today! Be sure to leave your thoughts in our comments section, vote in the poll or even comment about it on our Facebook page. Click the banner below for the direct link to the review! As always, you can also send your review requests via email if you’d like to see something that we didn’t cover yet. Walgreen Exclusive Funko Pop! Figures In Stock! If you’re a Funko Pop! 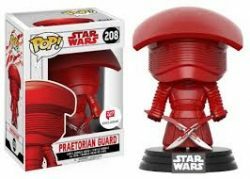 Collector, Walgreens.com has the Cloud City Duel Movie Moments, and Praetorian Guard with Whip and Praetorian Guard with Duel Swords Walgreen Exclusives in stock now! You can also get 18% off with promo code EXTRA18 if you spend $50. After a massive opening weekend and a sharp second weekend drop, the box office performance of The Last Jedi has generated a lot of discussion. How has the film been performing since then? 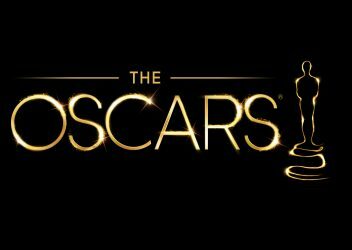 The film has already grossed over one billion dollars worldwide, and Variety reported on Wednesday that it passed Rogue One at the domestic box office. It’s not all good news though. The Last Jedi is latest Star Wars film to underperform in China. According to Variety, the film lost to a Chinese romantic comedy in its debut. The Force Awakens and Rogue One also disappointed at the Chinese box office, where Star Wars doesn’t have a strong foothold. Despite the doom and gloom surrounding the aforementioned second weekend drop, The Last Jedi is performing very well overall and similarly to past Star Wars sequels. In a detailed breakdown of the film’s performance, Forbes revealed that it will likely finish around 30% behind The Force Awakens. Thats nearly identical to The Empire Strikes Back and Attack of the Clones, who finished 32% and 28% behind their predocessors respectively. 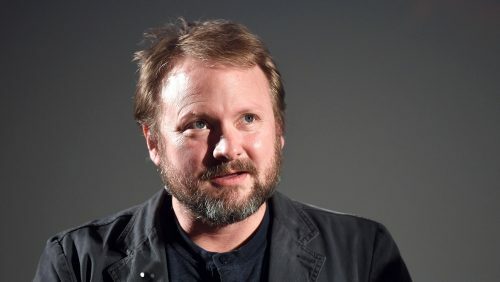 Business Insider interviewed Rian Johnson shortly after the release of The Last Jedi. During the interview, Johsnon addressed fan backlash, Luke Skywalker, the lack of Captian Phasma, and the brand new trilogy that he is developing. Johnson provides several interesting and thoughtful answers in this interview. Check it out! We have another Photographer Spotlight today, featuring the works of Alex Wilson (figmalix on Instagram). Click through to check out his contributions to our Visual Guides! 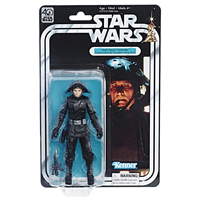 The Rebels line repacked Luke Skywalker, based on his appearance from Return Of The Jedi. He isn’t terrible at all. Let’s check him out in our Research Droids Reviews today! Be sure to leave your thoughts in our comments section, vote in the poll or even comment about it on our Facebook page. Click the banner below for the direct link to the review! As always, you can also send your review requests via email if you’d like to see something that we didn’t cover yet. In this week’s Brian’s Toys newsletter… 90+ Episode 7, 8, & Rogue One Figures for Individual Purchase Including 6″ Black Series, 3 3/4″, Vehicles, Titanium Series, & More! Click through for the full Newsletter! ← The Kessel Run To Appear In Solo: A Star Wars Story? An image of the Solo: A Star Wars Story Range Trooper has leaked online. We’re not posting that image here, but I was taken aback by how much it looks like The Force Unleashed’s Imperial Navy Trooper. That’s all I am saying here. The Kessel Run To Appear In Solo: A Star Wars Story? With the image breach of the LEGO Kessel Run Millennium Falcon that leaked out, it appears that the Kessel Run may be part of the plot in Solo: A Star Wars Story; The Image breach also confirms that the Solo image composite of the actor leads is the line look image. IT WAS a LEGITIMATE image. (We can’t post here for obvious reasons.) io9 has more information. 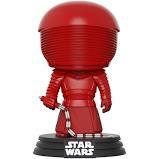 ← Target Exclusive Holographic Kylo Ren Pop In Stock Now! 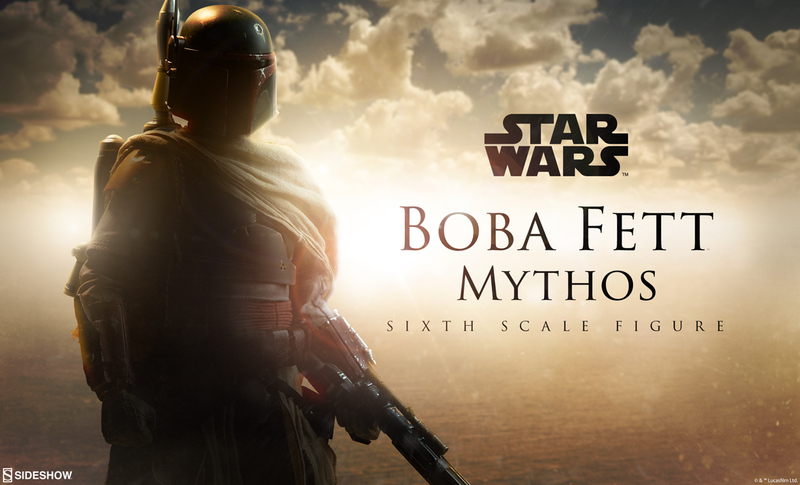 Sideshow has released a tease for their next Mythos Sixth Scale figure: Boba Fett. Click here for the full preview page! ← HURRY! X-34 Landspeeder/Luke Skywalker Is $20 With Prime On Amazon! Target Exclusive Holographic Kylo Ren Pop In Stock Now! 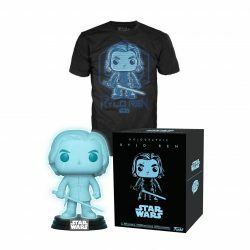 The Target Exclusive Kylo Ren Holographic Pop is now on sale at Target.com! 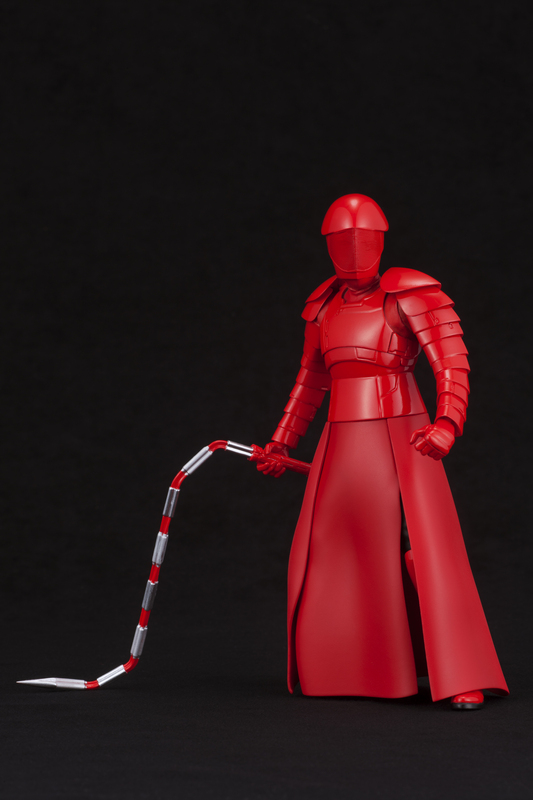 However, you can only make this purchase with a Target Red Card (similar to the Red Stormtrooper). This is the first in a series of weekly Pop! Exclusives at target. HURRY! X-34 Landspeeder/Luke Skywalker Is $20 With Prime On Amazon! It’s been found cheaply at TARGET and Walmart, but Amazon has it listed for only $20 with Prime! Hurry! Special thanks to friend Steve U. for the alert! 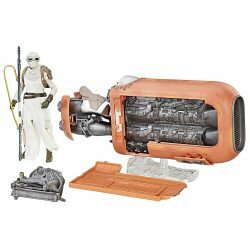 UPDATE: Rey’s Speeder (Jakku) is also $26 and change too! ← Pre-Order Chewie In AT-ST Pop And FOD Comics From TFAW Now! 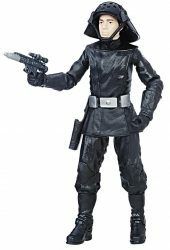 The Rebels line repacked Darth Vader, based on his appearance from The Empire Strikes Back. But the packaging would make you believe otherwise. Let’s check him out in our Research Droids Reviews today! Be sure to leave your thoughts in our comments section, vote in the poll or even comment about it on our Facebook page. Click the banner below for the direct link to the review! As always, you can also send your review requests via email if you’d like to see something that we didn’t cover yet. ← TBS6 [P3] Figures That Never Hit Retail Are Arriving Now On Clearance! 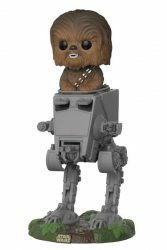 Pre-Order Chewie In AT-ST Pop And FOD Comics From TFAW Now! You can pre-order the Funko Pop! Deluxe Chewbacca in AT-ST for only $23 right now from ThingsFromAnotherWorld.com for a March release! That’s a great deal for Pop! collectors. You can also pre-order the Forces of Destiny comics and variant covers (some look fantastic) here as well. 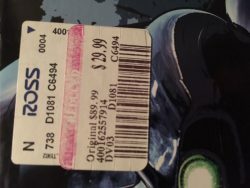 ← More Ross Clearance Finds! TBS6 [P3] Figures That Never Hit Retail Are Arriving Now On Clearance! Never saw The Black Series [Phase III] Ahsoka Tano/Luke Skywalker wave at your local retailer? Yeah, never did we. But huge pallets of this case assortment are arriving at Meijer stores and the figures are discounted to $9.99 each. What is going on anymore? This image comes from social media on behalf of friend Steve U. ← Wouldn't You Like More 6" Environmental Sets? If you still need an AT-ACT or The Black Series AT-ST 3.75″ Walmart Exclusive, keep trying your luck at your local Ross stores. 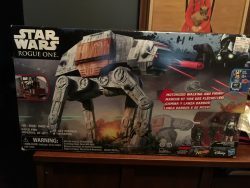 JTA reader MPrice shares with us his find at his local Ross in Alabama where he said they had a ton of AT-ACT’s at $29.99 and AT-ST’s at $21. Have you had any luck at your Ross? I know mine didn’t have any of those, but its possible they didn’t show up yet. Let us know if you found anything good at yours. ← Hurry! 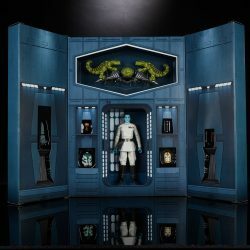 SDCC Thrawn Set In Stock On HTS eBay Store! Wouldn't You Like More 6" Environmental Sets? There is a blizzard outside and with a lot of time to ponder I started thinking of things I’d love to see with The Black Series 6″ figures. Picture this: Luke, The Emperor, Vader, and an ERG. Four figures, each with their own environmental piece and when put together we get a great display! Click through to join the discussion. ← ERGs And IDTs And SSSLs, Oh My! Hurry! SDCC Thrawn Set In Stock On HTS eBay Store! That’s right! The SDCC Thrawn Set is IN STOCK at HTS eBay Store and at regular price! Thanks to JTA Reader John M. for the heads up! There are many new things added as well. Check them out here! UPDATE: Sold Out! But check out the other things in the HTS eBay store! ← This Is The Way To Do 3.75" Scaled Porgs! ERGs And IDTs And SSSLs, Oh My! In what seems to be a last-ditch effort push to get stock out to Walmart before they supposedly go “mainstream” (unless that has changed now), older The Black Series [Phase III] super-articulated Walmart exclusive 3.75″ figures are arriving at multiple Walmart stores across the nation. Some are even arriving in kicker displays. Special thanks to rivesjunctionite for the image and report! I also know of reports in Texas, Philadelphia and South Carolina. This Is The Way To Do 3.75" Scaled Porgs! They’re beautiful! JTA reader Michael G. alerts us to a company selling absolutely astounding 3.75″ scaled porgs in different poses. Hasbro: please take note. Something like this should have been already released by you! Check out all of their cool products at AsisFilmModels.com! ← $54.99 With 2-Day Shipping Or $45 Online Order To Store For Pickup? $54.99 With 2-Day Shipping Or $45 Online Order To Store For Pickup? Walmart is weird. They’re scalping their own AT-ST exclusive. Comparison images have been showing up on social media for a few days now proving how far Hasbro has come with their “photo realistic” paint operations. Thanks to JTA reader John M. for sending us the images to share. ← Sponsor Announcement: Empire Toy Shop - JAINA SOLO (LEGENDS)! 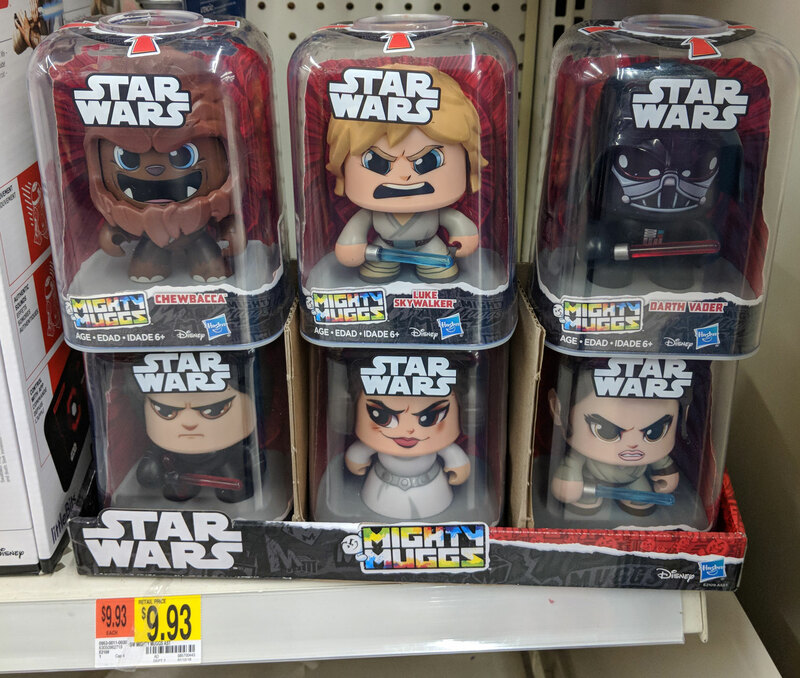 It’s rare to get great store reports like this, but JTA reader Derek H. has found the Jain Solo (Legends) wave at his local TARGET in Illinois. Congrats! Sponsor Announcement: Empire Toy Shop - JAINA SOLO (LEGENDS)! JTA sponsor EmpireToyshop.com just received word that Jaina Solo (Legends), Resistance Tech Rose, and Supreme Leader Snoke solid cases just shipped from the warehouse and will be in stock next week! They had a ton of pre-orders but still have some available for purchase. Order now while they last! Hasbro felt that adding the Clone Trooper 12-Inch Figure was a wise choice for the Rebels line. Let’s continue our 12 Days Of 12-Inch Figures by looking at this one next!! It’s the focus of our Research Droids Reviews today! Be sure to leave your thoughts in our comments section, vote in the poll or even comment about it on our Facebook page. Click the banner below for the direct link to the review! As always, you can also send your review requests via email if you’d like to see something that we didn’t cover yet. After doing some further detective work, our research droids have pulled through once again and were able to find some UPC’s and Amazon pages for some upcoming The Black Series 6″ Figures! Click through to see the latest and to add them to your lists! ← Should Hasbro Expend Precious Few TVC Slots For TLJ Characters? Wow! I didn’t expect this one. According to SFGATE, analysts are predicting that Amazon will buy TARGET by the end of this year. Check out the article and then leave your thoughts in our comments!! Should Hasbro Expend Precious Few TVC Slots For TLJ Characters? We are keeping the TVC discussion going…. The Last Jedi Disney Star Wars film has certainly rattled the Star Wars community. With the divisive episode chapter that it is, are there any characters Hasbro should prioritize in The Vintage Collection that you feel would be wise releases? Is there enough interest from the collecting community for a focus on these characters? If you think yes, what characters from the film would be a wise focus or concentration for Hasbro in The Vintage Collection? Leave your thoughts in the comments because you-know-who is watching. Special thanks to JTA reader Michael G. for the article idea! We are continuing our 12 Days Of 12-Inch Figures! Let’s now check out the First Order Stormtrooper from the Rogue One line. It’s the focus of our Research Droids Reviews today! Be sure to leave your thoughts in our comments section, vote in the poll or even comment about it on our Facebook page. Click the banner below for the direct link to the review! As always, you can also send your review requests via email if you’d like to see something that we didn’t cover yet. 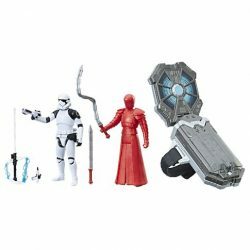 Force Link Rathtar & Bala Tik Set Super Low Price On Amazon! 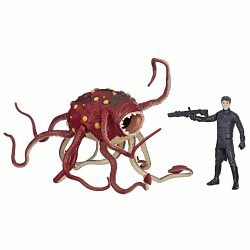 The Force Link Rathtar & Bala Tik set is only $4.48 at Amazon with free prime shipping! That’s an extremely low price for this pretty neat set! 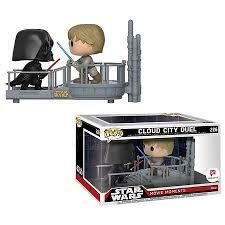 You can also get Force Link General Hux for $4.97 as an add on and Resistance Tech Rose 3.75″ for $3.92 as an add on! When we were trying to get the Amazon listing for The Black Series 6″ Rey (Island Journey) originally, it kept taking us to the Rey (Jedi Training) page and now we know why. They split the page and added Rey (Island Journey) as an alternate “Brown” color. So far there is only a third party seller, but keep this page added to your list. We’ll update you when pre-orders start! If you still need The Black Series [Phase III] Rey’s Speeder and you haven’t been able to find it cheap near you, Amazon has it for $26.75. This is definitely a great price for this! We are continuing our 12 Days Of 12-Inch Figures! Let’s now check out the Imperial Stormtrooper from the Rogue One line. It’s the focus of our Research Droids Reviews today! Be sure to leave your thoughts in our comments section, vote in the poll or even comment about it on our Facebook page. Click the banner below for the direct link to the review! As always, you can also send your review requests via email if you’d like to see something that we didn’t cover yet. In a surprising development, The Last Jedi’s Audience score on Rotten Tomatoes has now fallen to 51%. Despite it’s box office success, the film just isn’t resonating with almost half of its viewing audience. It will be interesting to see if this has any impact at all on Episode IX’s performance at the box office. UPDATE: The Audience Score is now at 50%. ← 12 DAYS OF JTA: The Winners! We’re catching up with the Forces of Destiny line for our Visual Guide update tonight with the addition of the Princess Leia Organa & Wicket the Ewok (Endor Adventure) set. Click below for a complete look at this guide. You can also check out our full review right here. Thank you, Hasbro and Litzky Public Relations for providing us with this sample. Congratulations! We have 12 winners in our 12 Days Of JTA contest! Please click through to see if you won! Here is Jedi Temple Archives’ 2017 Year in Review! Reflect back with us as we go through all of the breaking news, headlines, and events that made up the 2017 calendar year. At times it was a difficult and even tragic year, but it was also fun and exciting. And hopefully greater things are in store for 2018. (Hey, The Vintage Collection is returning, so it can only go up from here, right?) Thank you for being part of this ride with us. Here is to a great 2018! You can verify all of these stories in our News Archives. ← It's The Vintage Collection's Return Time! We are bringing in the New Year with an all-new addition to our Visual Guide Action Photography. With this update, we are spotlighting the works of Thomas Eriksson (@tuskenmilkbar). Click through to check out a sampling of his amazing work, now a part of our Visual Guide Archives! It's The Vintage Collection's Return Time! We have finally reached 2018 folks and that means the best Star Wars action figure collection is just moments away from making its long-awaited return. We hope you’re excited about it as much as we are! ← Happy New Year From Jedi Temple Archives! Welcome to 12 Days Of 12-Inch Figures! Yes, we hope we can all get through this relatively painlessly. Let’s start with Darth Vader from the Rogue One line. It’s the focus of our Research Droids Reviews today! Be sure to leave your thoughts in our comments section, vote in the poll or even comment about it on our Facebook page. Click the banner below for the direct link to the review! As always, you can also send your review requests via email if you’d like to see something that we didn’t cover yet. ← Sponsor Announcement: Dorkside Toys - Pre-order Next Wave Of TBS6 [P3]! Happy New Year From Jedi Temple Archives! Jedi Temple Archives wishes all of our readers a very happy and healthy New Year’s Day! Thank you for being a major part of the fun here for us. Your patronage is humbling. Sponsor Announcement: Dorkside Toys - Pre-order Next Wave Of TBS6 [P3]! As we have bene alluding for a while now, the next wave of The Black Series [Phase III] figures are available for pre-order RIGHT NOW at JTA sponsor Dorkside Toys. Pre-order the full case assortment, or order Clone Captain Rex and Rey (Island Journey) for $21.99. What’s more, Dorkside Toys has a slew of 6″ figures on sale for $10.99 each including Hera Syndulla, Darth Vader and MANY others. Even more, The Last Jedi Force Link figures can be found for as low as $3.99 each! PLACE YOUR ORDERS NOW with one of the best retailers Star Wars collectors can find!